The popular Hanley design is now available as a Flush Mount, perfect for the powder room or hallway. 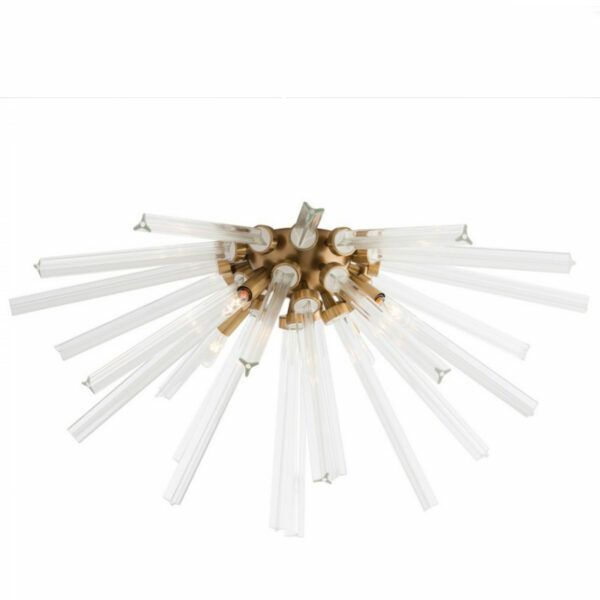 Featuring the same fluted glass and antique brass or polished nickel dome, this beautiful light takes the sunburst trend up a notch. Shown with small clear tubular bulbs. Approved for use in covered outdoor areas.